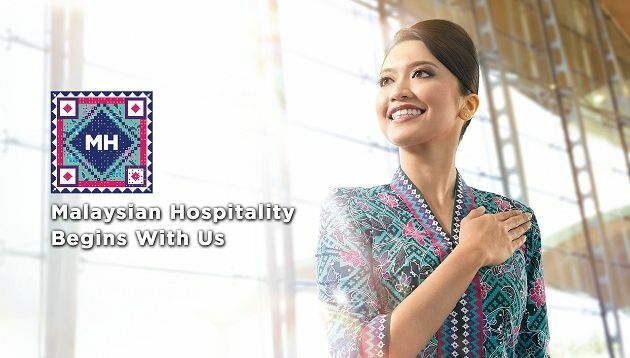 Malaysia Airlines (MAB) partnered Amadeus to officially launch MHchat, a new feature which enables travelers book flights and pay through Facebook Messenger. MHchat, which uses the Amadeus Chatbot for Airlines solution, is one of the digital initiatives unveiled by the airline earlier this year alongside MHguardian and MHfeedback. Designed to mimic human conversation, MHchat acts as a “travel buddy” that understands the needs of travellers, facilitating smoother transactions, immediate responses and allowing conversations to take place when it suits the customer. On Facebook Messenger, customers can use the chatbot to search for flights or ask a question related to a booking. In a statement to A+M, the airline said its primary ROI for MHchat is to improve customer satisfaction and increase customer loyalty that will translate to a higher customer lifetime value. Additionally, direct measureable ROIs are sales generated through MHchat and the number of customer support queries that have been answered by the bot directly, rather than customers having to call MAB’s contact centre or an agent manually answering via Facebook Messenger. When asked how the airline ensures that MHchat caters to cultural sensitivities, MAB said it has to manage the expectations of internal stakeholders and customers that any new experience is always imperfect since the underlying technologies are constantly evolving. “It’s the same with smart assistants on your phones or PC that can respond to your voice queries up to a certain level of complexity and don’t always interpret cultural differences in tone of voice, grammar and wordings correctly. We are surveying customers that use the service to get better insights on their experience,” it said. MAB added that the chatbot also reports and analyses conversations automatically when there is not clear or concrete response available. Using that information, MAB will then manually train the chatbot to better understand how customers interact with the airline. Having launched its Whatsapp Business solution last month, the airline’s main focus in its Digital Innovation Roadmap is to build more AI and machine learning capabilities behind the scenes, that will make “incremental but noticeable improvements” in the way customers interacts with the airline on digital channels. MAB’s CEO Izham Ismail said customer experience is a “key priority” for the airline and it is “deeply committed” to constantly improving it. “Our digital transformation strategy lies at the heart of this, as we continuously harness new and innovative technologies to enhance all touch-points for our guests,” he said. Meanwhile, Cyril Tetaz, executive vice president, airlines, Asia Pacific, Amadeus said agility is crucial when working on innovative digital solutions and the company managed to deliver MHchat in three months. “Many airlines are embarking on turnaround transformation initiatives, driven by a real will to address competition but above all to improve the customer experience,” Tetaz said. He added that Amadeus will continue to drive technology improvements and bolster the chatbot with new features. These include multi-language support, adding ancillary services to an existing booking, and even integration with Amazon’s Alexa for voice capabilities.